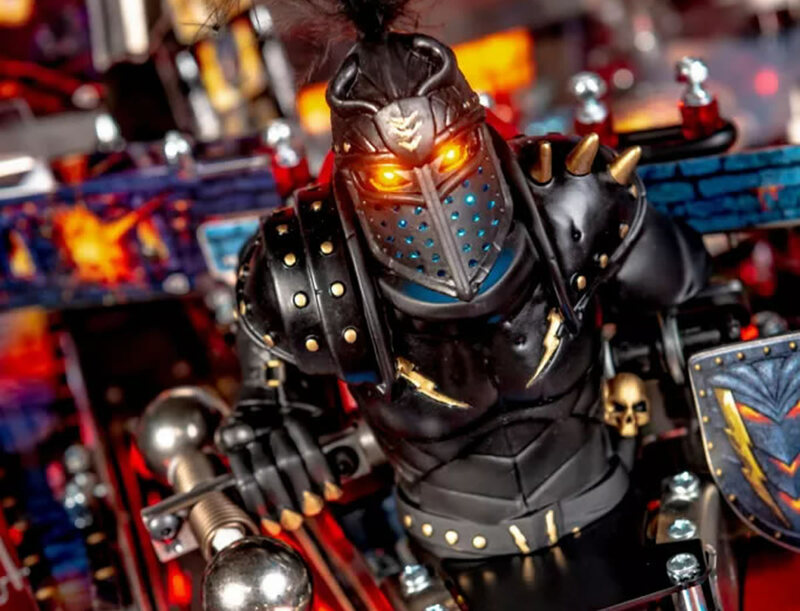 The pinball machine rumour mill is currently grinding along nicely, with five new pinball machines rumoured to be entering the market: Stern Pinball Jaws, Stern Pinball James Bond, Stern Pinball Jurassic Word, Jersey Jack Pinball Willy Wonka and Jersey Jack Pinball Guns N Roses. So how much truth is there in these rumours? The rumours of Stern working on a new Jaws pinball machine, which have been circulating on and off for almost 10 years, were further fuelled recently by a Pinball Press Facebook post speculating that work has now commenced on the project. 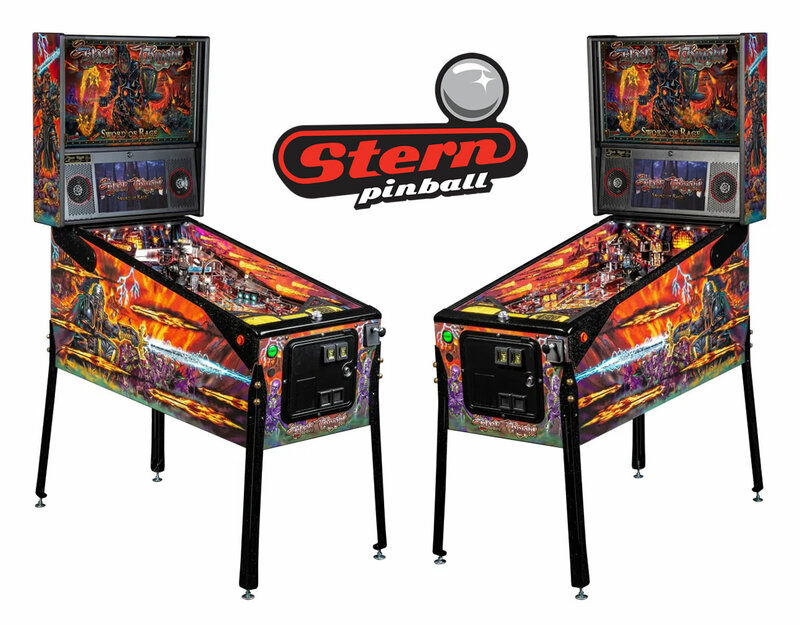 It has also been suggested that Stern have held the licence for a new Jaws pinball for some time. However, to date no official announcement has been made and even the best of the rumours appear highly speculative, so if a Stern Jaws pinball machine is swimming our way, we still have time for plenty to go fishing before it finally arrives into the UK. Considered to be the greatest theme of all time, it is strongly rumoured that Stern is on the verge of releasing a new James Bond pinball machine this year. Indeed, only a matter of weeks ago This Week in Pinball stated that the rumour now carried some credibility. But if a new James Bond pin is to be released by Stern Pinball, surely the licencing alone, considering the number of 007s the franchise has featured over the years, could be a nightmare. So, given that Daniel Craig’s final outing as 007, which may or may not be entitled “Shatterhand” – the alias of Bond villain Ernst Stavro Blofeld, is due in 2020, perhaps a Daniel Craig themed 007 pinball machine to mark his final outing in the role, may be the order of the day. If that is to be the case, then we will have another 12 months to wait before any announcement is made as the 25th James Bond film is not due out until next year. The final Stern Pinball rumour and perhaps most surprising of all, it that they are set to announce a Jurassic World pinball machine. The original Jurassic Park pinball was launched in 1993 and was considered by many to be one of the greatest Data East titles ever produced. Jurassic Park pinball was fully loaded and came factory equipped with a topper, shaker motor, 3 scoops and several innovative features, a “taser gun” shooter featured a “Smart Missile” which was a homage to the 1981 arcade hit Defender. A large motorised t-rex head not only looked around as you played, but could eat and swallow the ball, only for it to appear elsewhere on the playfield! Following the buyout of Data East by Sega and marking the release of the Jurassic Park sequel, in 1997 Sega launched their Jurassic Park: The Lost World pin, however sales of the Sega machine were said to be significantly lower than the original. In 1999 Sega Pinball sold out to Gary Stern. 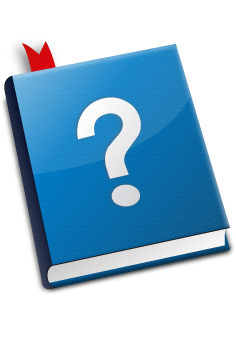 It has been rumoured since 2017 that Willy Wonka will be Jersey Jack’s next release but, as of yet there has been no official announcement. 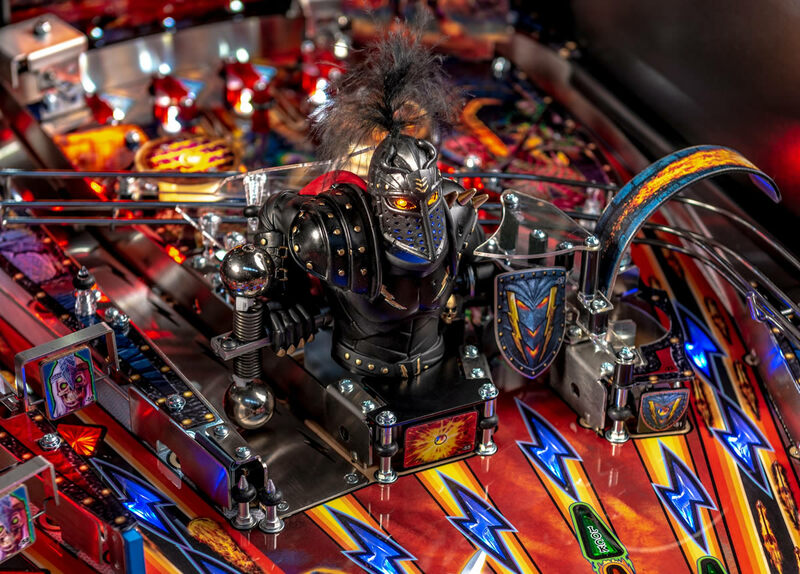 Based on Roald Dahl’s 1964 fantasy novel and featuring Gene Wilder, the story of Willy Wonker lends itself perfectly to the creation of an exceptional and feature-rich pinball machine especially at the hands of Jersey Jack Pinball. In Charlie and the Chocolate Factory, Willy Wonka has hidden five Golden Tickets inside chocolate bars. The finders are rewarded with a tour of his factory plus a lifetime supply of chocolate. As the tour proceeds, four of the children are eliminated, leaving Charlie Bucket the winner. At this point Wonka reveals that the real prize is the factory, as Wonka needs someone to take it over and look after the Oompa Loompas who work there. We can see how this would very nicely fit into a pinball machine, making various shots to find the Golden Tickets! The prospect of a wide-bodied Willy Wonka pinball machine featuring Jersey Jack’s high-quality artwork, sound and LCD animations whets the appetite and would look set to be very popular. So, as soon as any official announcement is made, we will be sure to let you know. 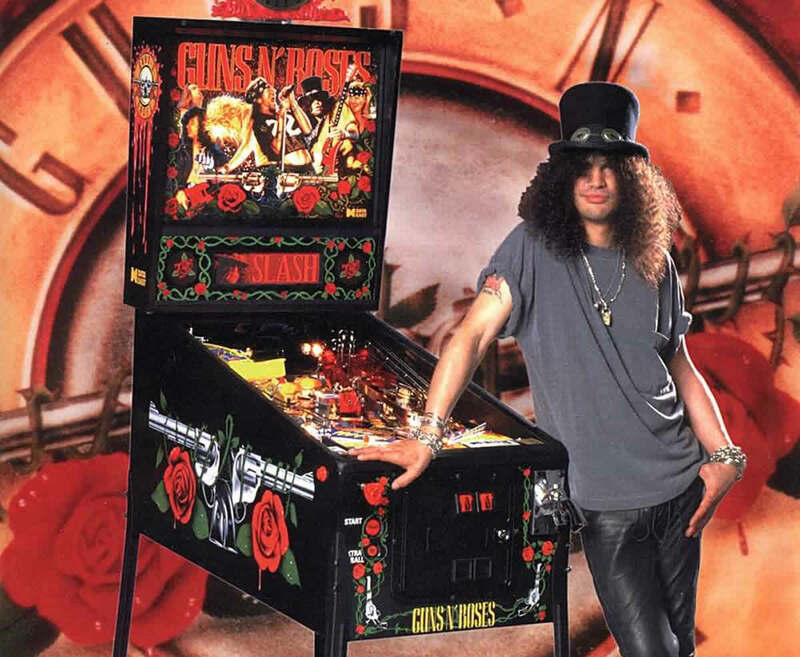 The last Guns N’ Roses pinball machine was released in 1994 by Data East with the marketing slogan “Guns N Roses leaps off the stage and into your location with non-stop head-banging hard rock, in-your-face. 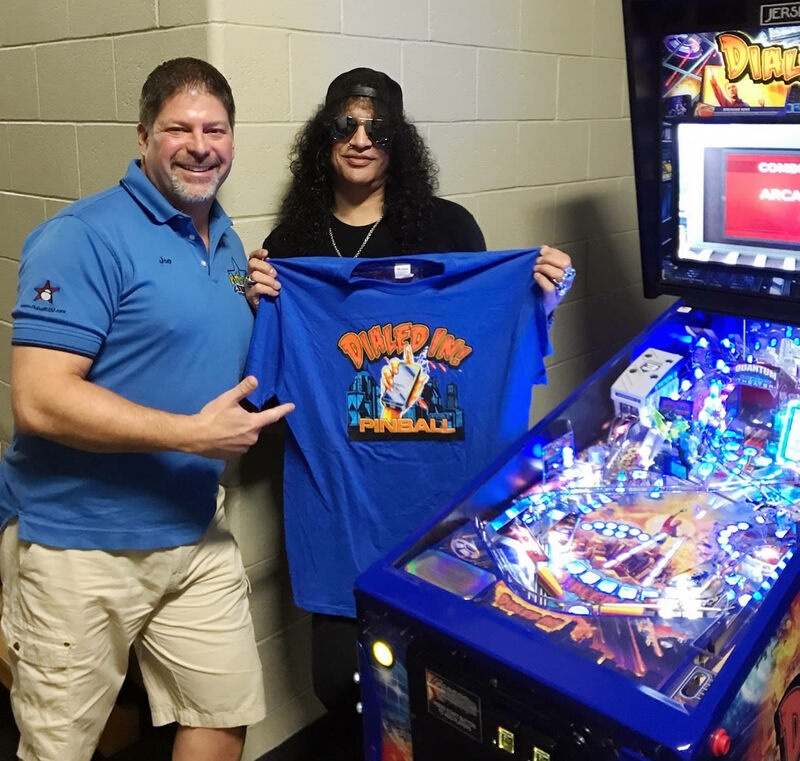 screaming pinball action!” The fact that no other than Slash himself helped design the machine, coupled with the fact that Slash and GNR bass player Duff McKagan recently tried out Jersey Jack’s Dialed In during their concert at Hersheypark Stadium, has fuelled speculation that another GNR pinball machine could soon be on the way. No announcement has yet been made about a new GNR pin and on balance it appears more likely that a Willy Wonker machine may appear well before a new GNR machine. But make sure to watch this space! 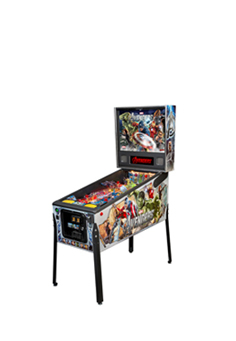 As their official UK and Republic of Ireland distributor, Pinball Heaven will keep you up to date with all the latest Jersey Jack news as it is announced.